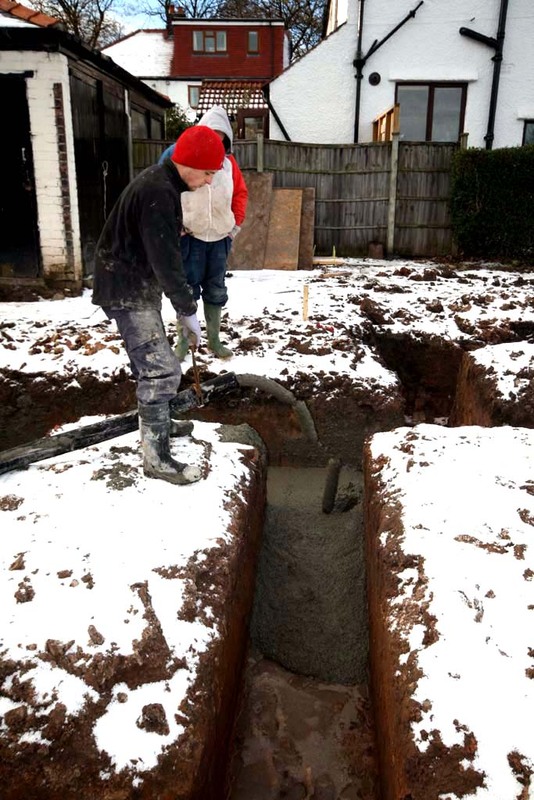 New build house foundations poured | bromilow architects ltd.
Saturday saw the arrival of the concrete for the strip footings for the new house for our client. 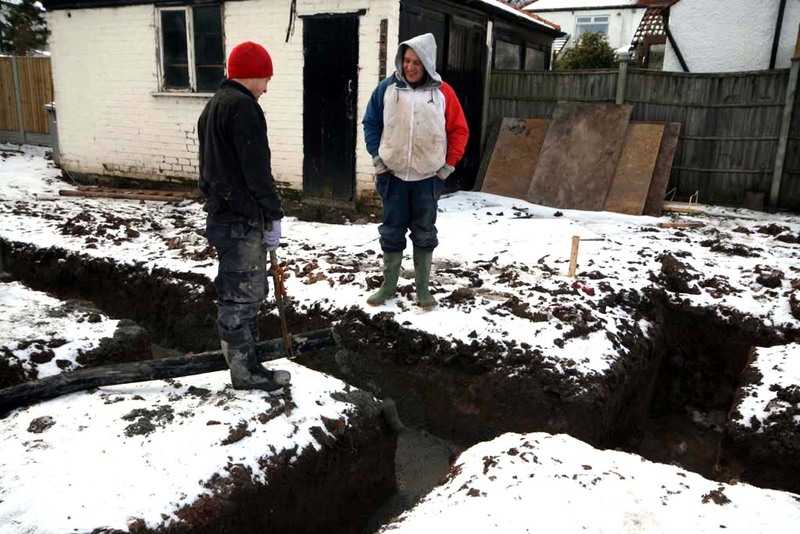 Earlier in the week the trenches had been passed by the building inspector for the scheme, each trench was examined with a spade to check that good ground had been reached. 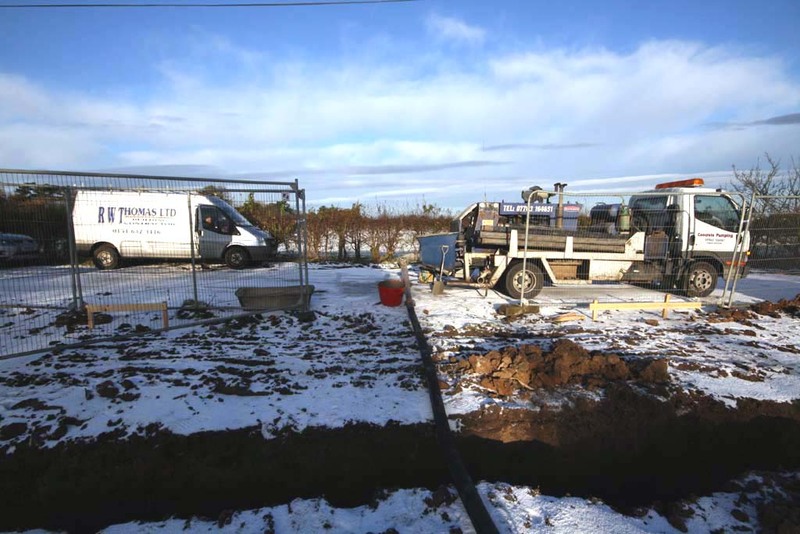 We are using a private Approved Inspector called Meridian Consult Ltd for the building control aspect of the build. 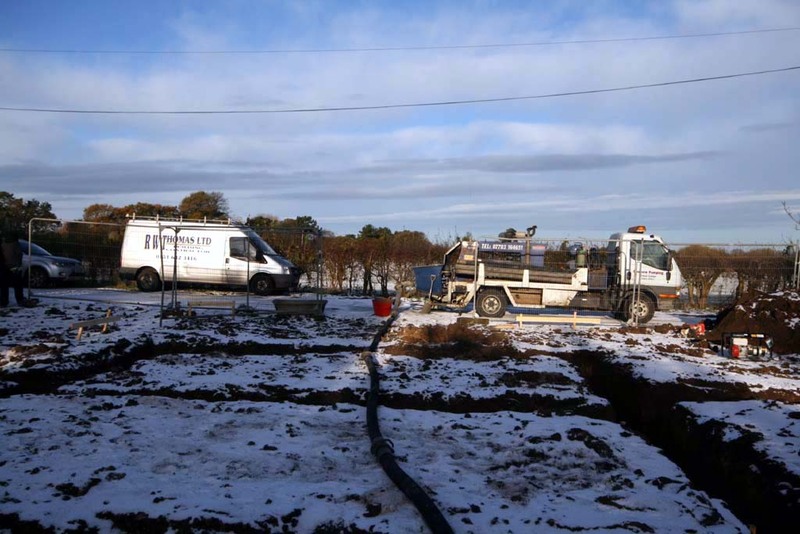 Rather that barrow the concrete to the trenches, the contractor hired a small concrete pump that can be seen in use on the photos below. 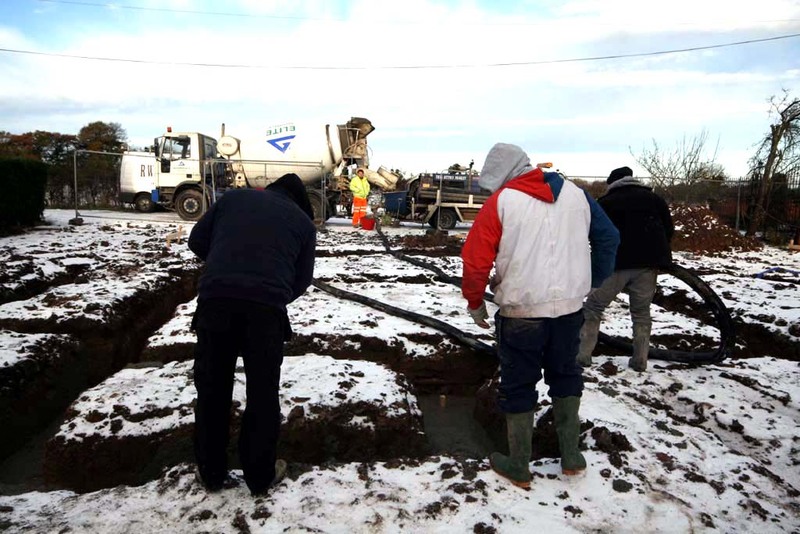 This made it far easier and quicker to get the concrete in to the trenches. 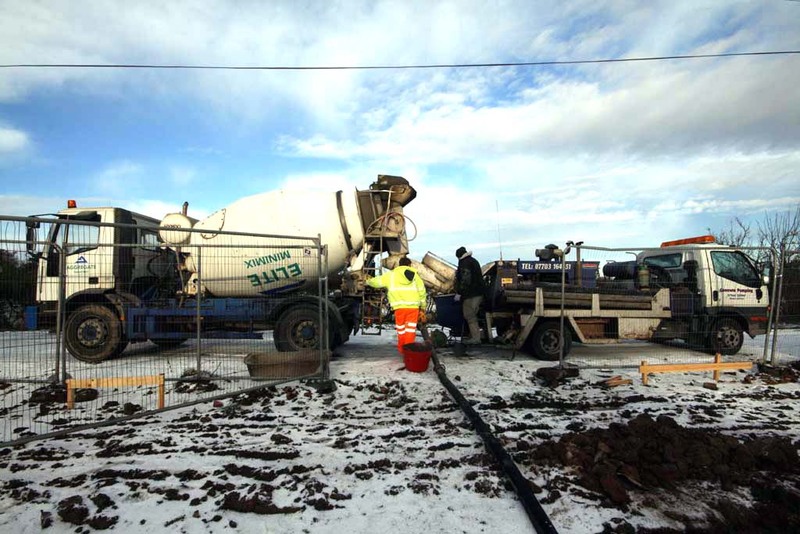 Pegs had already been set in to the trenches so that the correct levels where obtained during the pour which used approximately 20m³ of concrete. 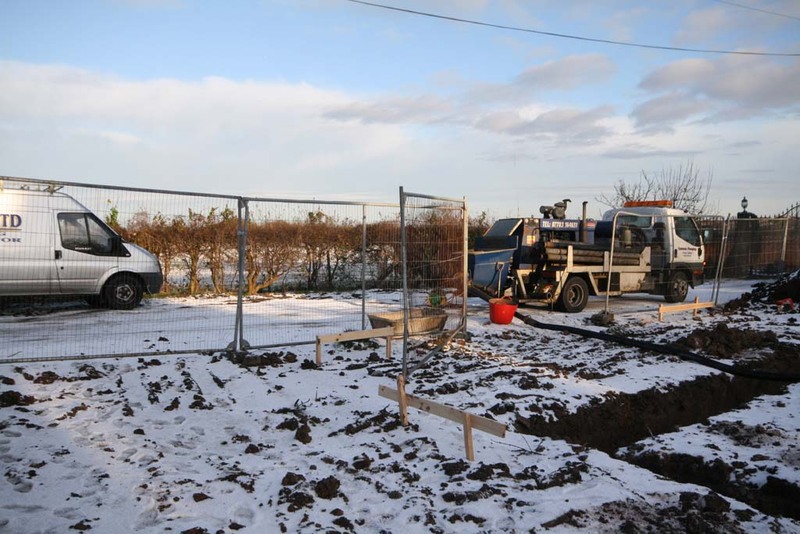 The next stage will be to progress the walls below the dpc level but with low temperatures expected this week, the block work may have to be halted until temperatures rise. 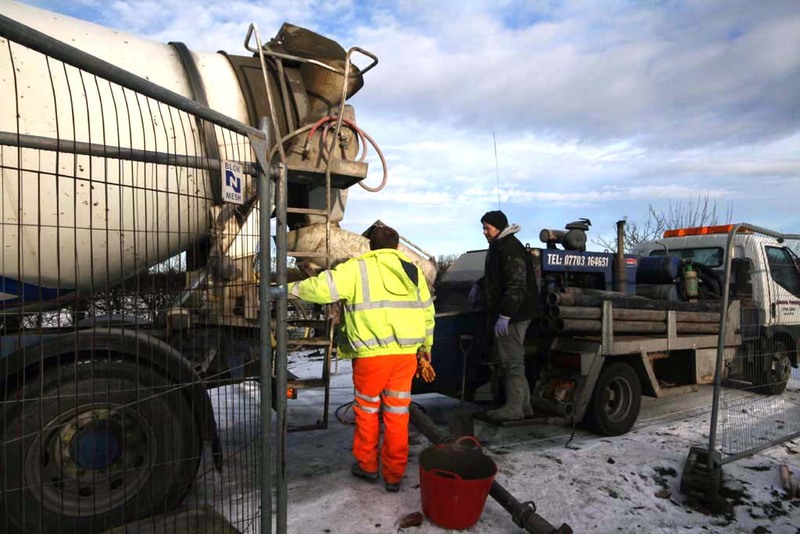 Brick and block work with cement gauged mortars should not be laid in air temperatures at or below 3°C and falling or unless it is 1°C and rising. The temperature of walling during curing should be above freezing until hardened.